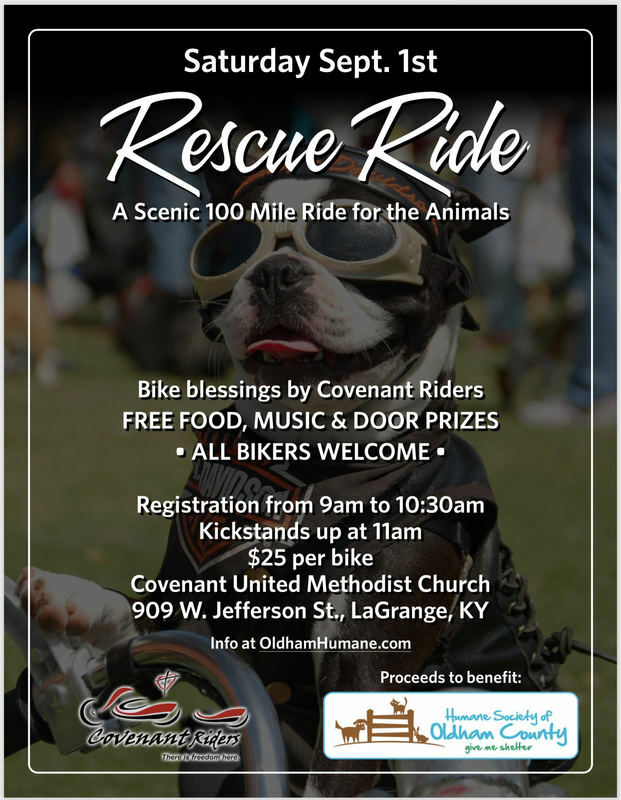 ​We are gearing up for a new fundraiser, Rescue Ride, A charity motorcycle ride on September 1, 2018 hosted by the Covenant Riders of LaGrange. This will be a 100 mile scenic ride and the beautiful back roads of Kentucky and will start and end at the Covenant Church with good food, music by a local band and door prizes. 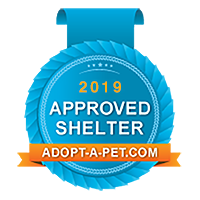 $25 registration fee will include the food and the entertainment but most of all the money raised will go towards building the Humane Society of Oldham County a new facility for their spay/neuter clinics and homeless pet housing on donated land off of Commerce Pkwy to replace their small outdated rented house. If you can't participate in the ride you're still welcome to come out around 2 PM and enjoy the food,music and to show your support with a $25 donation. Registration is 9am to 10:30am. Road safety and bike blessings will be given before the ride with kick stands up at 11am. Donuts and coffee will be served at registration. Food will be ready and music will be playing when the riders return sometime around 2pm. Come out, enjoy a fun ride and support a great local non-profit organization dedicated to the animals and making Oldham a no kill community.